DBHS marching band and color guard performed during the football game's halftime show on Jan. 19. Drum major Aaron Tamura stands overhead as drumline, marching band and color guard perform their show on the Rose Bowl football field last weekend. After months of preparation, Diamond Bar High School’s Thundering Herd performed at the NFL Players Association Collegiate Bowl for the second year in a row on Saturday. The Thundering Herd first caught the attention of the NFLPA last year, when it came across videos of the band and invited them to perform at the game held at the Rose Bowl in Pasadena. After the group’s Rose Bowl debut last year, the NFLPA hired them again to play this year and has already hired them for the next. “The NFL Players Association liked what we do for football games, so they hired us to be performers,” DBHS band director Steve Acciani said. After doing a majority of their preparation for the Rose Bowl in the summer, the DBHS marching band performed its usual halftime show for the season—composed of “Believer” by Imagine Dragons, “50 Ways to Say Goodbye” by Train and “Africa” by Toto. Marching band practiced separately from color guard a majority of the time, with musical guidance from Acciani, choreography from marching band instructor Casey Bindl and music director Marie Sato helping with both aspects. Due to heavy rain during the week leading up to the Collegiate Bowl, color guard only had a few hours to practice on the Friday before the performance. The team, however, had been rehearsing the show since last summer. 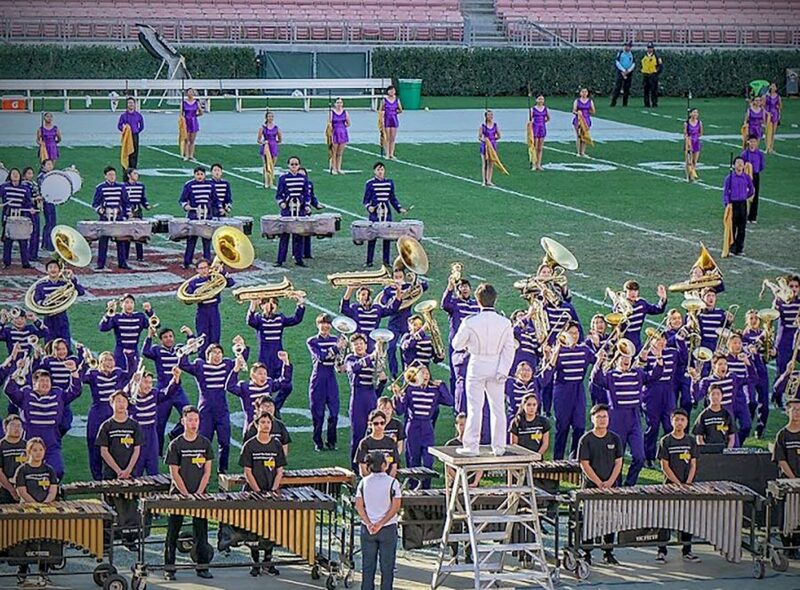 Attending the Rose Bowl gave the Brahmas a new perspective on performing, according to students, and they hope to attend similar events in the future.